In December 1964, our team was searching for ore in the northwestern corner of Yunnan province. The whole team consisted of 8 people, half of whom were armed with automatic rifles. On the day of our departure, an old Nakhi man asked us for a lift to Weixi. On that day, heavy snow made the road surface uneven, so our journey was repeatedly interrupted by snow drifts under the wheels. We had no choice other than to repeatedly stop and get out to push the car. The driver Xiao Wang was rushing to start the engine and pressed down hard on the accelerator. But unfortunately, the wheel just spun where it was. The car was at a standstill, we could not make our way forward or back. 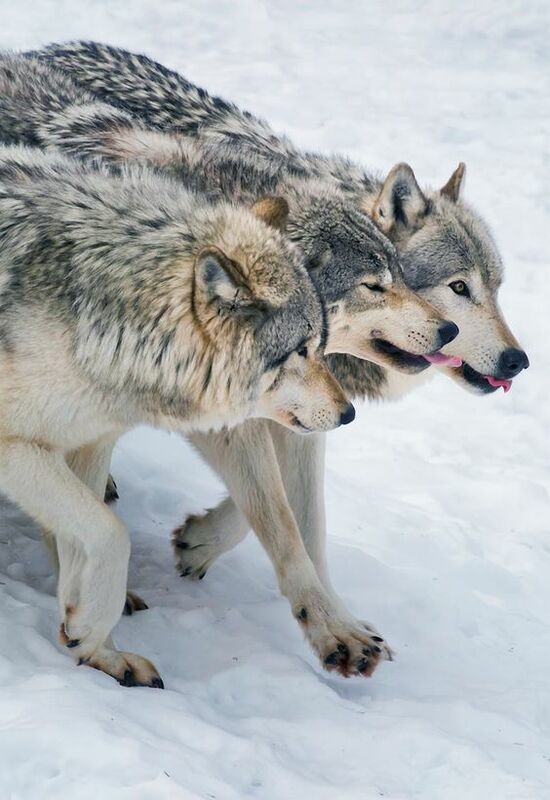 The wolves began to move in closer to the car. 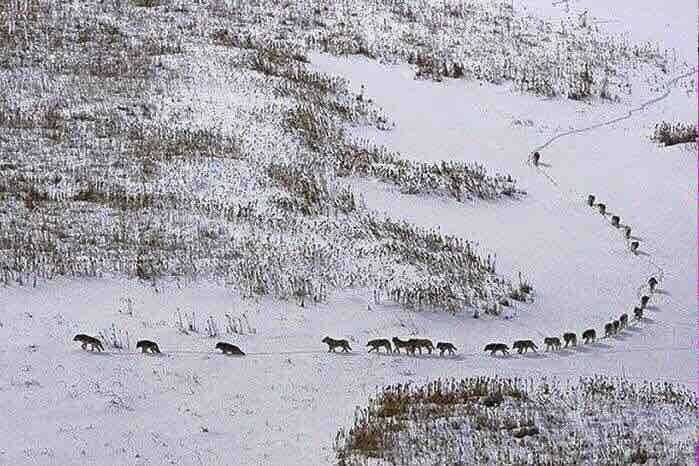 We could now clearly see that it was a pack of 8 wolves, each of them as big as a calf. Xiao Wu quickly reached for the automatic gun but almost as soon as he had, the old man from Nakhi lowered it again and removed it from Xiao Wu’s hands. “Then throw it out,” the old man said almost as a command. None of us had ever experienced anything like this, at that moment our minds were completely blank. We, admittedly, began to panic but were at the same time numb. In following the old man’s orders, we were not hesitant, we hastily threw a piece of dried ham to the ground, and then a piece of extremely rare deer meat bought from Lijiang. The wolves with their bright red eyes were so excited and roared with glee, they rushed towards the food, biting and swallowing large pieces whole. Almost as soon as the food had been thrown out, it had vanished, leaving not a trace. This time, about 110 pounds of meat was thrown from the car door. In the space of time it takes to light a cigarette, the whole thing was devoured by the 8 hungry wolves! Once they had finished their feast, the 8 wolves sat together neatly, their gaze locked on the car door. At this moment, we each held our breaths and were so nervous that our palms were dripping with sweat. The only sound we could hear was the fast thud of each other’s heartbeats pounding in our chests. We had no idea what our next move would be or in fact how we were going to escape the encirclement of the wolves. In addition to being nervous and frightened, we were also embarrassed and angry. As security guards, we took pride in our instincts and ability to fight off any opponent, but this was an entirely new challenge and we felt entirely helpless. This was a desperate situation, the car was so stuck in the snow we had no hope of fleeing and we were now trapped inside the car with only a fraction of our food supply. Our supply of bullets was also very limited, once the wolves called the rest of their pack, we would be almost completely defenseless. We looked at each other for a while, then without hesitation, threw all of the remaining meat out of the car and more than ten bags of dried bread. At that point, it felt like our only option. So, the wolves enjoyed yet another feast. After quickly devouring the meat, they sniffed around the bags of dried bread but did not touch a crumb. After their 3rd meal, I saw that the wolves’ were becoming lethargic, their stomachs were full and their fierce eyes had now turned peaceful. One wolf circled around the car two times, perhaps checking that every morsel of meat had been consumed, whilst the other seven did not move an inch. Then, the first wolf led the rest of them off into the forest. Not long after, the same 8 wolves reappeared from within the dense pine forest carrying with them branches in their mouths. Unbelievably, they placed them under and around the two rear wheels. We were all astonished, and could not believe in our eyes! It turned out that the wolves placed the branches there in an attempt to help us escape from our snowy confines. I impulsively let out a nervous laugh of amazement but my teammate hurriedly covered my mouth with his hand, afraid that my sudden laughter would distract the wolves. After that, the wolves crawled under the car and for a moment it was silent but then we saw snow splash up the two sides of the car. The car started, but only moved two feet before it slipped again in the snow. The wolves did it again, first placing branches under the wheels and then clearing the snow from underneath. Each time, the car moved a little forward. This routine was repeated approximately ten times over. On one attempt, the car managed to travel for more than a mile up the road towards the top of the mountain. In front of us, however, lay a steep slope. Now, the wolves sat in a row behind the car, one sitting slightly higher than the others. We were deeply touched and applauded the wolves for their effort, we tried to wave our hands to thank them. But the lovely wolves have no reaction to our actions, they just sat there looking at us intently. A little later, the leading wolf got up and began to walk into the forest, slowly the others followed. I watched them go for as long as I could until their image had completely vanished again into the forest. The wolves were fierce but understood that they should repay us for what we gave them. Their actions caused each of us to fall into deep contemplation. 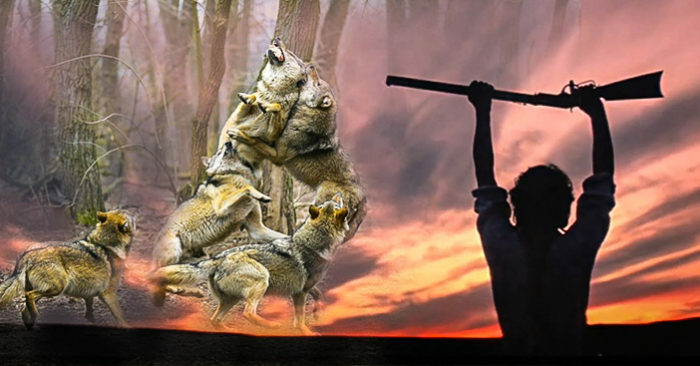 If at first, we had fired at the wolves, the outcome would have been completely different. The wolves would have decided to risk their lives, and we would never have been able to escape the snow. Instead, the action of giving the wolves a little bit of food calmed their hunger, and also replaced their thirst with gratitude. 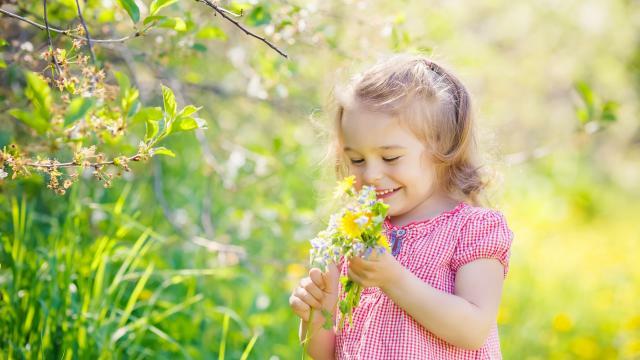 In your life, never try to make enemies for yourself where they do not necessarily lie and never drive your enemies into a corner. Otherwise, revenge will be all you will inspire and your life will be filled with worries, hatred, and fear.